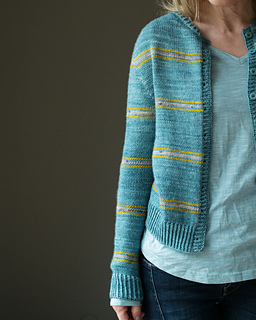 The Seven Tees is designed for the amazing yarn La Bien Aimée Merino DK. 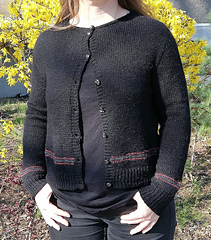 Special Edinburgh Yarn Festival discount: 30% off until the end of the Festival (March 24th CEST)! 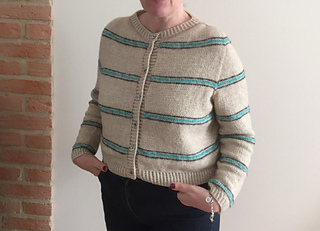 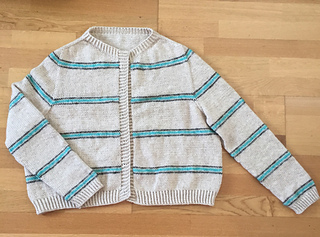 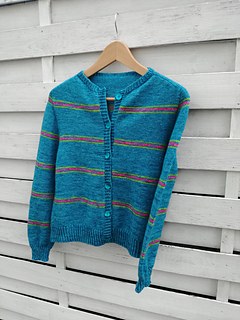 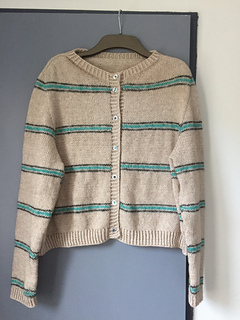 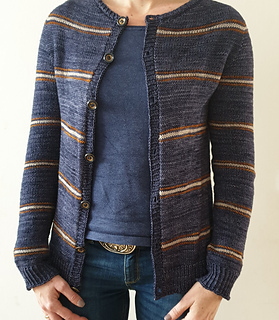 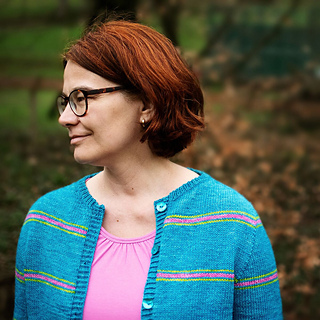 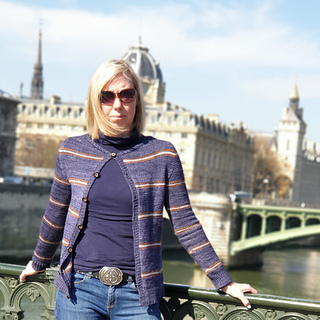 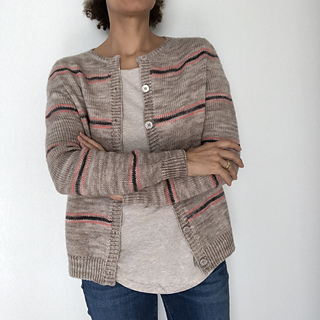 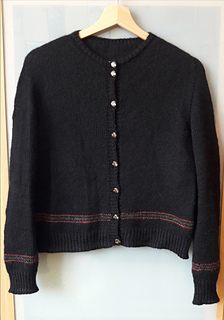 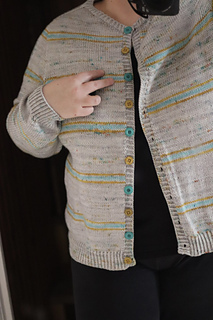 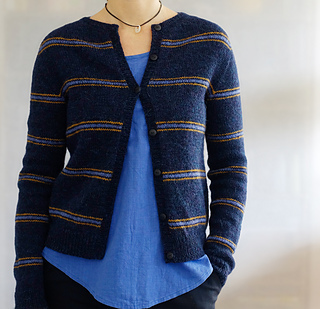 The buttoned cardigan is worked back and forth in rows from the top down. 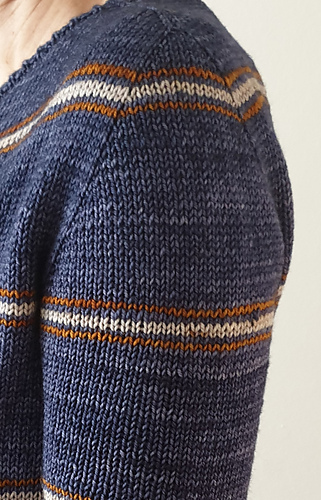 Shoulder increases (contiguous method) and short rows are shaping the yoke. 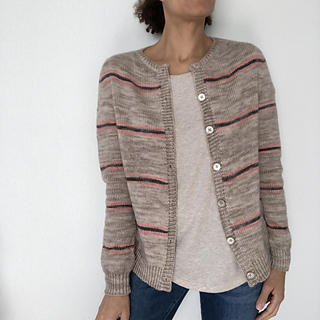 Stripes in contrast colors are worked over body and sleeves. 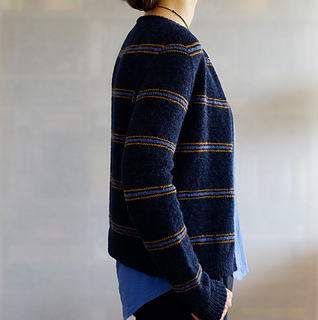 The sleeves are knitted in the round and finished with ribbed cuffs. 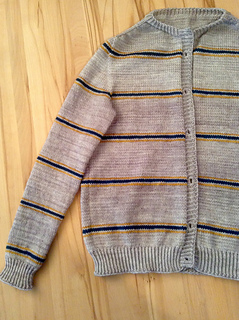 For the front finishing, stitches are picked up along both fronts and small button bands are worked. 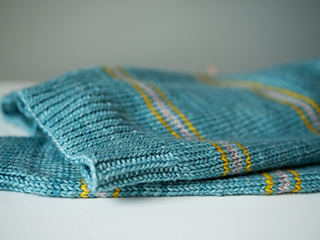 Sample is shown in size S with 2” / 5 cm positive ease. 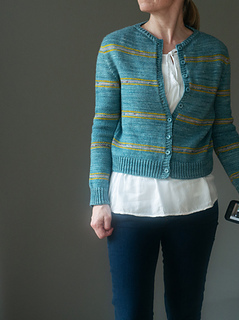 4 (4, 4, 5, 5, 6, 6, 6, 6, 7) skeins of La Bien Aimée Merino DK (100% Merino, 115 g / 252 yards / 230 m), or approximately 781 (850, 988, 1148, 1217, 1309, 1390, 1459, 1505, 1551) yards / 714 (777, 903, 1050, 1113, 1197, 1271, 1334, 1376, 1418) m of DK weight yarn that gives you the same gauge. 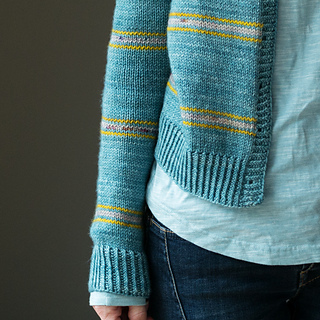 1 skein of La Bien Aimée Merino DK (100% Merino, 115 g / 252 yards / 230 m), or approximately 55-77 yards / 50-70 m of DK weight yarn that gives you the same gauge. 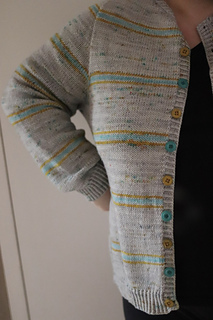 The sample is knitted in colorway Hegelia (MC), Yellow brick road (CC1) and Automne à Rhinebeck (CC2).